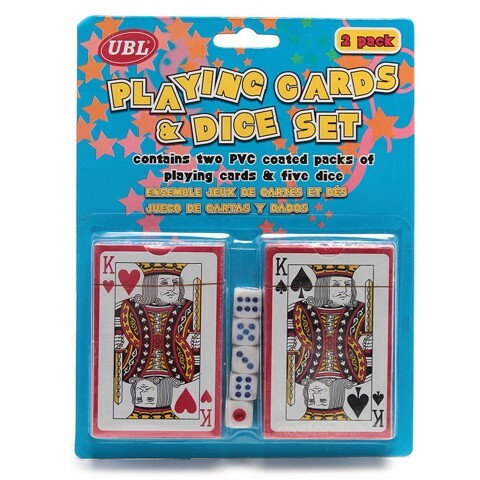 Playing Cards And Dice Set. 85 x 55mm Cards l Dice 13 x 13 x 13mm. White Dice with Red and Blue Dots. Paper l PVC Coat. 183G Packaging: Blister Card.